– the world leading conference on icing. On-going climate change, opening of new logistic routes, energy and mineral resources as well as increasing tourism feed the growing activity in cold climate regions. One of the major challenges for operations in these areas is ice and snow accretion. Icing reduces safety, operational tempo, productivity and reliability of logistics, industry and infrastructure. Climate change is making matters worse, with more humid weather and an increase in the frequency of wet snow, which in turn increases the risk of ice accumulating in structures. That’s why world leading experts on icing meet in the middle of the summer at the 16th International Workshop on Atmospheric Icing of structures (IWAIS) in Uppsala, 28 June to 3 July. Overhead transmission lines, bridges, masts, towers and wind turbins are among the exposed structures. Heavy icing could lead to abruption of transmission wires and even fall of steel towers. For example, during the winter seasons 2013/2014 and 2014/2015 Statnett, the transmission system operator in Norway, experienced cases of severe atmospheric icing causing the collapse of transmission towers and the failure of other components. One of the affected lines was an entirely new 420 kV transmission line crossing an exposed mountain area just north of the Hardanger Fjord in Norway. The measured ice load was more than double the design load, indicating that the ice loads had been significantly underestimated in the pre-construction phase. The damage caused by severe icing can lead to enormous costs. In early 2008 unusually cold weather coupled with heavy snow and ice paralyzed Southeast China. According to official figures, approximately 1 million homes were either destroyed or damaged. Infrastructure, especially power and water supply, as well as transportation (roads, railways, air, traffic) came to a complete halt in many areas. The agricultural sector was also hit hard, leading to significant losses of livestock and reduced crop yields. Direct economic losses were estimated at USD 20 bn, while the total insurance market losses were approximately USD 1.3 bn. The bulk of the insurance loss claims came from the commercial/industrial sector, where power transmission and distribution line operators were particularly affected. Atmospheric icing can also have a profound effect on wind power production. In certain conditions ice can accrete on the blades of a wind turbine and change its aerodynamic properties resulting in lower output power and possibly increased loads. Another challenge is ice shedding during operation and during start-up of the turbines after an ice event. Also, feel free to contact program coordinator Göran Ronsten, goran@iwais.org or media contact Jonas Hallen, jonas@iwais.org, 0708-866 844. 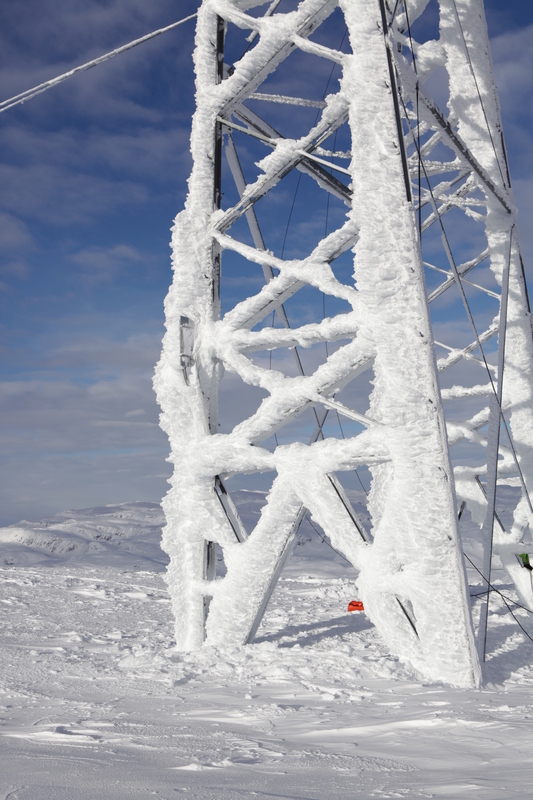 The last two winters the Norwegian transmission system operator Statnett has experienced heavier iceloads on parts of the transmission system than predicted. One of the affected lines was an entirely new 420 kV transmission line crossing an exposed mountain area just north of the Hardanger Fjord in Norway. A ground wire broke due to heavy icing after only three weeks in operation. Icing has also caused structural collapses of transmission towers. – The icing challenges the security of supply, says Bjørn Egil Nygaard, advisor at Kjeller Vindtekikk, a Norweigan company that now is working to prevent similar failures in the future. Icing can reach double the design load. Iceloads drive the dimensioning of towers and foundations and hence it’s vital to Statnett to predict the level of ice. The most severe problems are in the mountain areas and have been caused by in-cloud icing/rime icing, the same problem that you can find on wind turbines. This type of icing typically affects high structures that penetrate clouds. The measured ice load on the 420 kV transmission line in mountain area north of the Hardanger Fjord was more than double the design load. 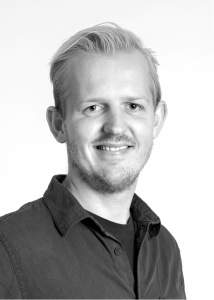 – That clearly indicates that the ice loads had been significantly underestimated in the pre-construction phase due to lack of suitable meteorological models, says Bjørn Egil Nygaard. Is the heavy icing due to climate changes? – Two years of heavy icing is a too short period to make that kind of conclusion, says Nygaard, but that has of course been discussed. The design load on the 420 kV transmission line was estimated 2007, by applying the then best available meteorological expertise. Today, an advanced local-scale meteorological model has been implemented as a tool to improve load estimation of the ice loads. The model used for simulations is the Weather Research and Forecasting model (WRF), developed by the National Center for Atmospheric Research (NCAR) in USA. NCAR is federally funded and the WRF modeling system is possible to download free of charge. It has become an important tool of the trade and it has today grown to have a large worldwide community of users (over 20 000 in over 130 countries), and workshops and tutorials are held each year at NCAR. Basically you apply the fastest computer you can find, and then use numerical weather prediction to simulate the local weather and icing conditions over the last decades to map the icing conditions on a local scale. With the same system we can do icing forecasts for the next few days and even simulate future icing based on climate change scenarios. Another solution might be ice detectors. But current devices aren’t efficient enough and sometimes doesn’t work at all, says Nygaard. He and his colleagues are now working on a prototype that they hope will make proper measurements. – There’s no quick fix for icing, but with better forecasts and measuring we might be able to prevent the kind of failures we have seen the last years, concludes, Bjørn Egil Nygaard.